In this episode our course, we’re taking a break from our weekly texts from Alf, Katie and Veronica. Last week Alf mentioned that his teacher had been teaching the students about the future tense. We thought it would be useful to go through all aspects of the future tense in this lesson. 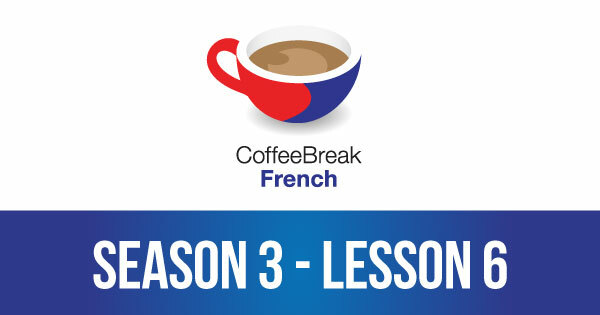 Please note that lesson 06 of Season 3 was originally known as lesson 306 of Coffee Break French. We have renumbered the lessons of each season as lessons 1-40 to make things more simple for our listeners. For some reason the Episode 306 is missing. Is there any problem with it?. Can’t open any file of cbf today!????? None of the audios or the download from itunes are working for Coffee break french at the moment??????? I lodged a query with the help desk yesterday but have had no reply.